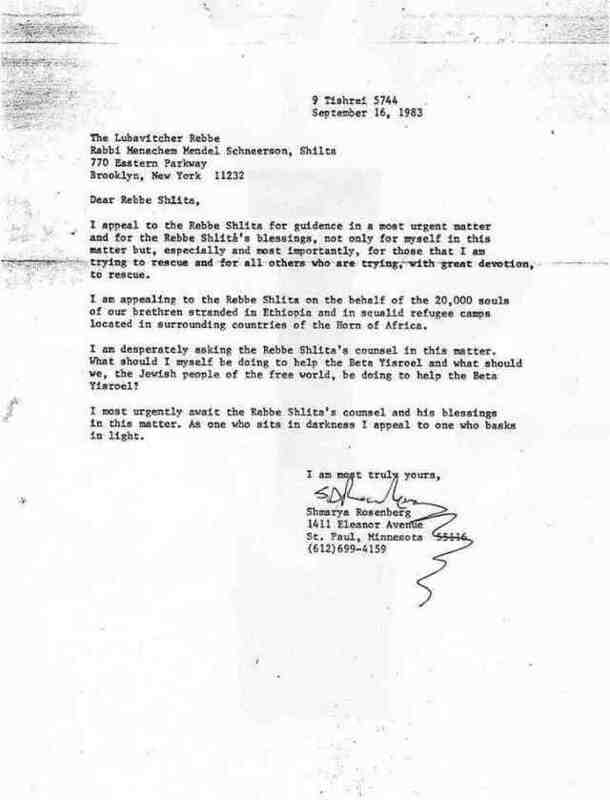 An English-language translation of the Rebbe's letter on the rescue of Ethiopian Jews can be read here. 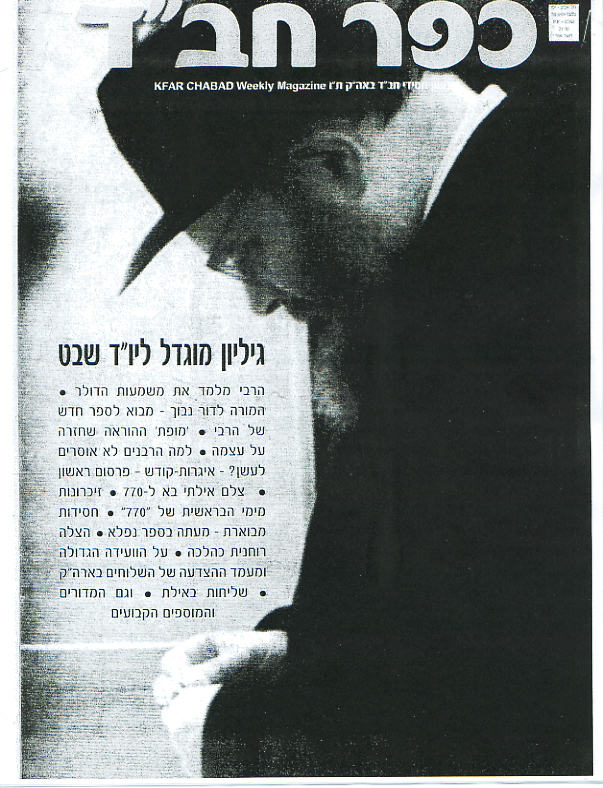 Information on Chabad, Holocaust Rescue and Ethiopian Rescue can be viewed here. 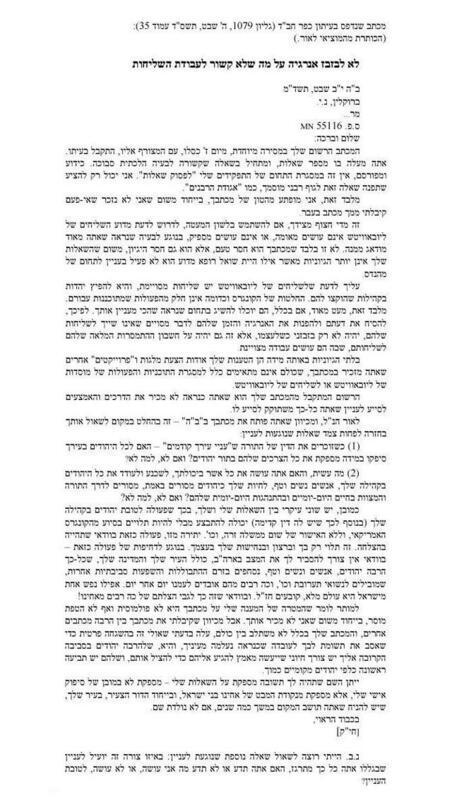 A teshuva from Rabbi Moshe Feinstein can be viewed here. 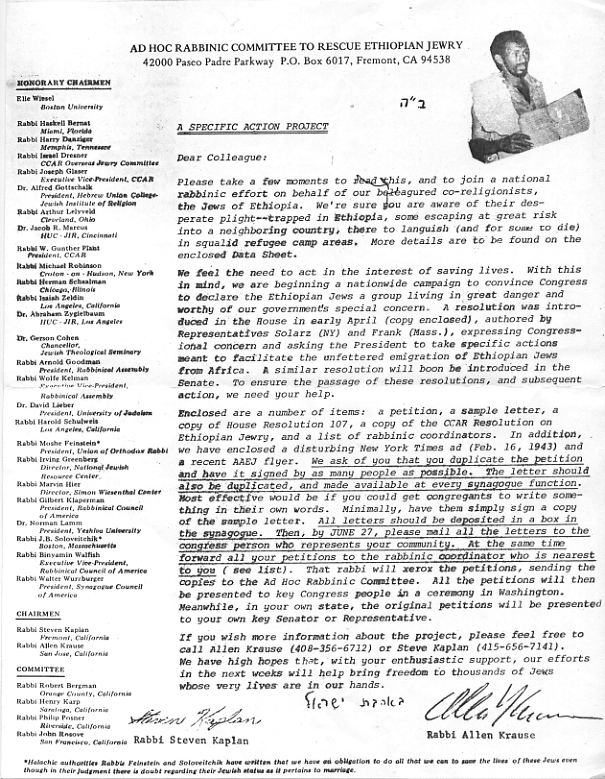 Rabbi J. David Bleich's overview of the halakhot regarding Ethiopian Jews, excerpted from Contemporary Halakhic Problems (Vol. 1), can be read here. Rabbi Ovadia Yosef and Rabbi Shlomo Aviner rule that a cohen can marry and Ethiopian Jewish woman. Please click on the thumbnails to read the documents. Thank you.